As winter comes there are longer periods of darkness: days are shorter and nights are longer. This can have an effect on our inner experiences of darkness and light, and we sometimes feel down. How can we enter into inner light to combat this inner darkness? Inner darkness comes from many sources. Sometimes we are feeling dissatisfied with ourselves and our lives. We all have shadow sides to our personalities that we would like to change. We all have situations that we would like to alter or relationships we would like to improve. These experiences can be a time for growth and new life, if we own what we’re feeling and deal with it. If we’re feeling dissatisfied with ourselves or our lives, we can work on a new goal to achieve a better feeling about ourselves. That’s the purpose of a consciousness examen, taking time to think about our lives and what we would like to change. What am I dissatisfied with and how can I alter the situation? We can take some time to journal about what we like and don’t like about ourselves and our lives and make a resolution to work on something that we want to change. If we’re grieving a loss, it’s important to be open to this feeling and accept it. We can dialogue with our feelings of grief ourselves or with someone who cares about us. Too often we ignore these feelings or push them away. Saying to ourselves or someone we trust, “I’m really feeling a sense of loss right now and it’s painful,” and talking about it, will help release some of what we’re feeling. Other ways we can bring light into our darkness are to recall things for which we’re grateful, call or write to a friend, take a walk in nature, do something good for someone, do something we enjoy. We can also go to the Source of light and pray about our feelings of darkness. Jesus is the light that came into the world to overcome the darkness. 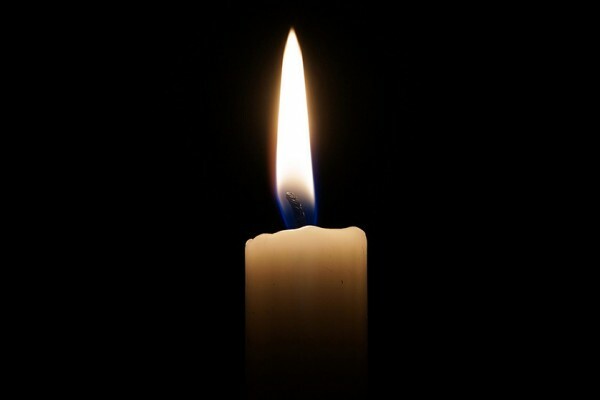 Resource: Dealing with Darkness in Our Lives: http://thesurvivalpodcast.com/dealing-with-darkness. Sr. Xavier received a BA from Holy Family College (now Holy Family University) in 1966, an MA from Detroit University Mercy in 1968 and a PhD from the University of Maryland in 1975. She entered the CSFN community in 1960.